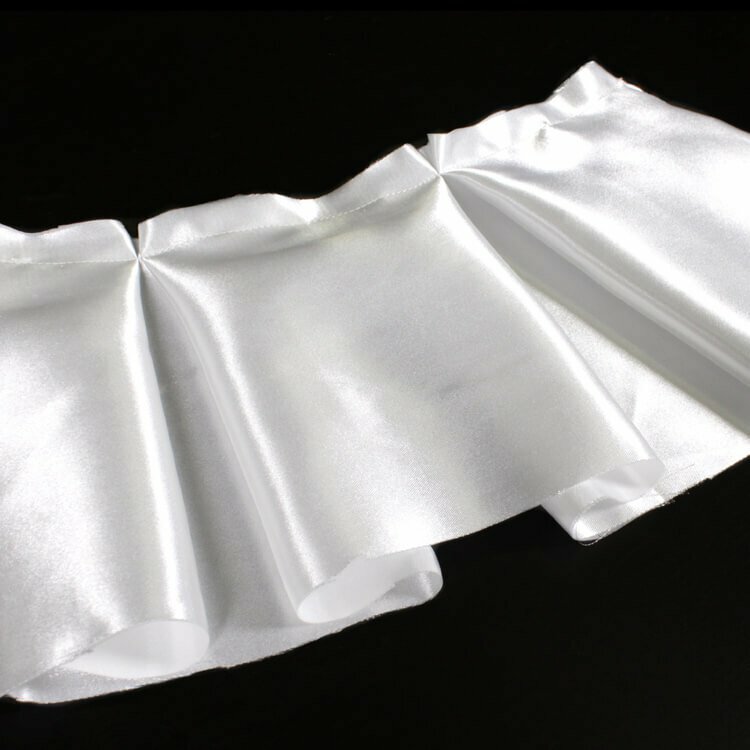 Box pleating is another form of pleating fabric that can be seen in a lot of skirts. This pleat is one of the most common types of pleating as it shows off a sophisticated and professional look. Starting at one end of the fabric, overlap the fabric 2 inches to the inside and pin. You can make the pleats any width you like. Then overlap the other side 2 inches in towards the first pleat and pin. If you prefer you can leave space between the pleats. Continue this until you reach the end. Stitch with a 1/2 inch seam allowance along the top and back stitch at both ends. The box pleats are now complete.